This year Granville Island’s producing partner is the Vancouver Mural Festival. 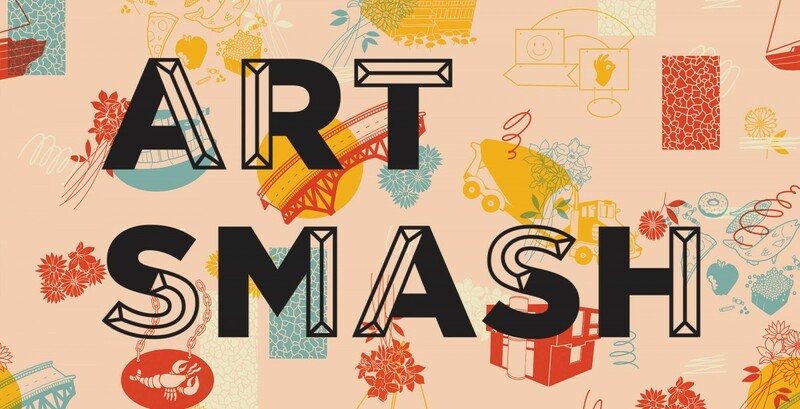 Granville Island announces its newest project, ART SMASH, a celebration of visual art in public spaces. For its inaugural year, Granville Island has been working with the team from Vancouver Mural Festival to bring together 10 artists to create new murals that will transform our newest public space, the Chain and Forge, into a vibrant outdoor art gallery. Located in the center of Granville Island, these large-scale art works will be free and accessible for everyone to view and enjoy. At the heart of the installation, painted on the pillars of the Granville Street Bridge, will be a monumental work of art designed by Musqueam artist Debra Sparrow. Other participating artists include Ruben Sanchez, an international artist visiting from Spain, and local artists, Sandeep Johal, JNasty, James Harry, Lauren Brevner, Eric Louie, Kari Kristensen, Victoria Scieczka, and KC Hall. These new works will join Granville Island’s existing murals previously created by local artist, Ola Volo and the international artist team, OSGEMEOS, from Brazil. A photographic record of the Art Smash 2018 creations. Meet the artists of Art Smash 2018. Come to Granville Island to see the murals in person.